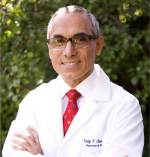 Although Dr. Fady T. Charbel has served as Editorial Review Group Chair in Neurosurgery only since March 2017, his association with Doody’s Review Service dates back to early 1993, when he reviewed books for the then Head of the Department of Neurosurgery at University of Illinois at Chicago, James Ausman, MD, PhD. In the 16 months since Dr. Charbel has served as Chair, we have sent him 76 titles, of which he and eight of his colleagues have already reviewed 37, with eight more in process. Since 2001, Dr. Charbel has been the Richard L. and Gertrude W. Fruin Professor and Head of the Department of Neurosurgery at the University of Illinois at Chicago. He is an internationally recognized expert in microneurosurgery with a special interest in cerebral revascularization: bypass, carotid, and vertebral artery surgery; surgical reconstruction of complex intracranial aneurysms; resection of AVMs, moyamoya disease, and treatment of complex brain tumors. Dr. Charbel’s research has led to innovations in medical devices and diagnostic imaging, as well as surgical simulators. He is the developer and coinventor of the Charbel Micro-Flow Probe® (Transonic Systems Inc.) and of the NOVA® system (VasSol, Inc.). Dr. Charbel currently holds nine patents and has produced over 280 scientific presentations and over 200 publications. Dr. Charbel’s honors include the University of Illinois at Chicago “Inventor of the Year” award in 2002 and the “Wall Street Journal Technology Innovation Awards: Medical Devices, Runner-up” in 2006. In 2017, Dr. Charbel received the Cushing Award for Technical Excellence and Innovation from the American Association of Neurological Surgeons. He has been consistently named one of America’s Top Surgeons – Consumers’ Research Council of America; Best Doctor – Best Doctors in America; and Top Doctor – Castle Connolly Medical Limited. Dr. Charbel takes great pleasure in sharing his passions for research, education, and surgical excellence and he has been invited to lecture, teach, and demonstrate complex surgical procedures all over the world.